What a great idea for Grand Rapids, the second largest city in Michigan behind Detroit. It’s an Eataly-style market, and instead of Italian, the focus is on local businesses. Etta and I got a cup of coffee, crepes and some popcorn. 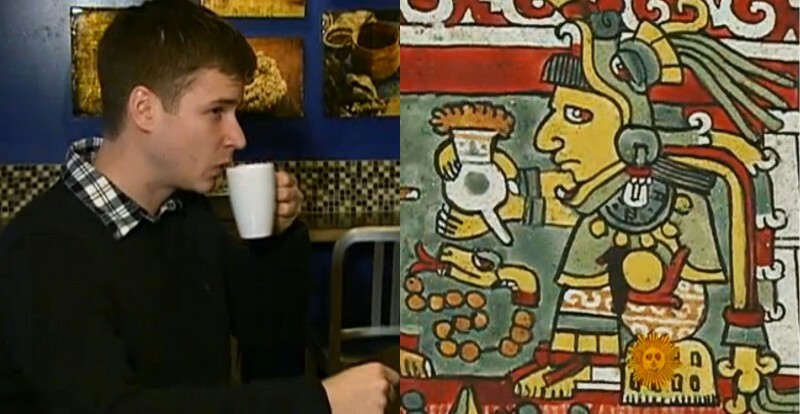 The coffee, locally roasted, was outstanding. 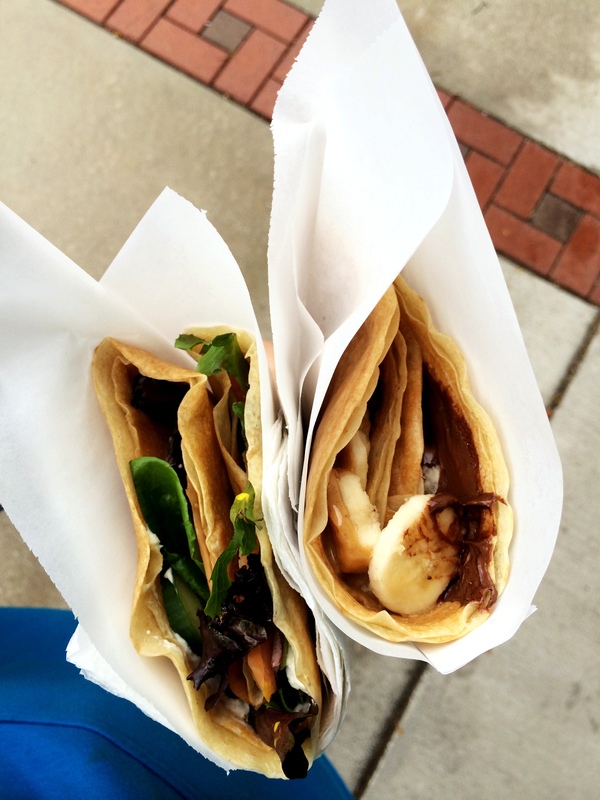 The crepes were good for what they were: made-to-order street food style crepes with off the shelf fillings. 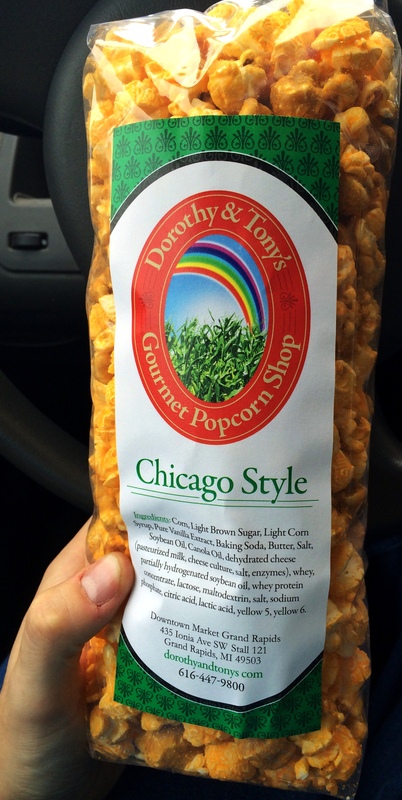 There may have been a defect with the Dorothy / Tony’s cheese / caramel popcorn: I was unable to close the bag after it had been opened.